Hazrat Khwaja Muhammad Saeed Sirhindi (1005-1070 AH) was the second son of the Great Mujaddid, Imam Rabbani Shaykh Ahmad Sirhindi (971-1034 AH). My son Muhammad Saeed was just four or five years old when he became sick. While being very weak due to that illness, he was once asked: “What do you want?” He replied: “I want Khwājā sāhib.” (Khwājā Muhammad Bāqī Billāh, the Sufi master of Imam Rabbani). He graduated from the Islamic education and other courses taught in those times at an age of 17. His teachers included his noble father, his elder brother Khwaja Muhammad Sādiq, and Shaykh Tāhir Lāhori. He was a great scholar. His father Imam Rabbani would often appoint him for solving hard issues in Fiqh that required research. He was spiritually trained in the Sufi path by his noble father, and reached the highest stages of wilāyah (sainthood). His karāmāt (miracles) were many. His Maktubat (letters) were collected by his son Maulana Muhammad Farrukh. The collection includes one hundred letters, written most in Farsi with a few in Arabic. The first two letters are addressed to his noble father Imam Rabbani Shaykh Ahmad Sirhindi. These letters were first published in 1385 AH (1965) by Maktabah Hakim Saifi, Lahore (Pakistan). Khwaja Muhammad Saeed had seven sons, two of them (third and forth) were more well known as great Islamic scholars and authors of many books. 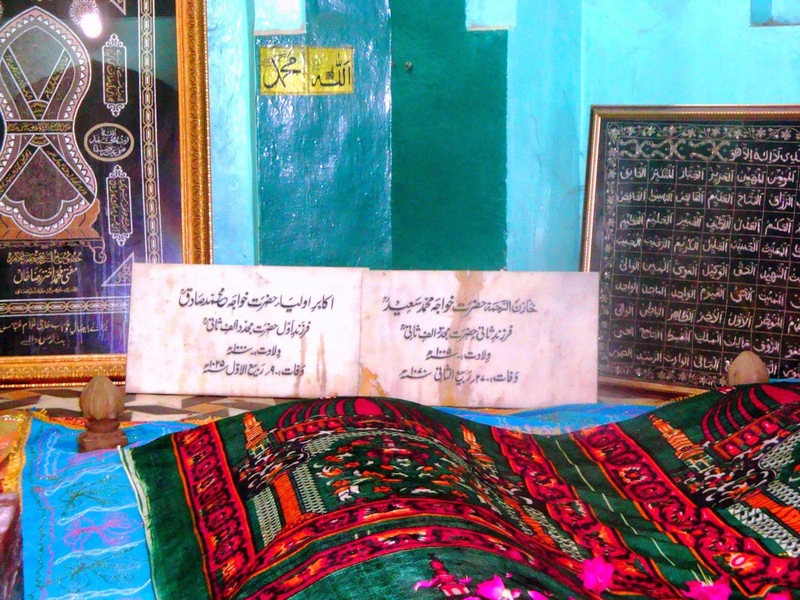 Shaykh Muhammad Farrukh Sirhindī, 1038-1121 AH, buried in Sirhind. He was a great Islamic scholar, author and annotator of classical Islamic texts. Mughal emperor Aurangzeb learned Sahih al-Bukhari from him. Shaykh Abdul Ahad Wahdat Sirhindī, alias Shāh Gul, 1050-1127 AH, buried in Sirhind. He was a great poet and author of about 40 books some of which are published.